The link between weight and fertility is well documented. 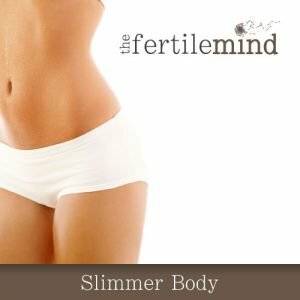 This Fertile Mind program will help you loose weight without a diet. Loose weight and keep it off without dieting. Currently only available as mp3 programme. Eat what you want when you want, no sinful food. Be more aware of when you are full and stop. eating when you are full. Nothing to count/monitor apart from the weight coming off! You know how it is, you’re going so well. You are being really careful with what you eat, perhaps on a new diet regime. The weight is starting to come off, your clothes feeling looser. Occasionally you get a craving for something you ‘shouldn’t’ have. The chocolate biscuit is calling you… telling you it is only small. Just the one might be OK… then bang, before you know it you are back at square one. Why is that so often the case? Over 95% of our behaviour is driven by our unconscious mind, which is why with all the self control in the world it can still be difficult to change eating habits and overcome cravings. You may have experienced the usual cycle of weight loss: Loose it, put it back on, loose it again, put it back on…. The thing is, diets don’t work. Diets involve denying you things you want, what happens when you do that? You just want it more! They can also involve starving your body, which, to protect itself from starvation, stores energy as fat for later use, defeating the point of the diet! Is it too good to be true? It should be hard work. There is a perception that letting go of limiting beliefs or letting go of stress healing should be hard work and take a long time. That is not my experience with my clients or other Cognitive Hypnotherapists I work with. Over 95% of our thoughts and behaviour are driven by our unconscious mind, as are all our bodily functions like managing the delicate process of fertility. By guiding your unconscious mind to what you want mentally and physically you may be surprised how quickly things begin to happen.